Howard M. Hujsa is a Principal in Cummings & Lockwood's Private Clients Group and is based in the Bonita Springs office. 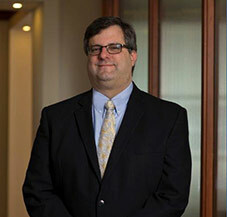 Howard focuses his practice on complex estate planning (including gift, estate, charitable and generation-skipping transfer tax planning), trust and estate administration and the representation of charitable organizations. He speaks frequently on estate and tax planning topics before both lawyer and non-lawyer audiences.